This entry was posted in The Bedroom and tagged competition, stylefast, polefit bedding on April 10, 2015 by Perry Young. This entry was posted in The Bedroom and tagged make up table lighting, wardrobe spotlights, under bed lighting, interior design, bedroom tips, perfect bedroom, bedroom lighting, inspiration, bedroom, stylefast, polefit bedding on February 9, 2015 by Perry Young. This entry was posted in The Bedroom and tagged high quality bed sheets, sleep facts, luxury bedding, stylefast, polefit bedding on January 16, 2015 by Perry Young. This entry was posted in The Bedroom and tagged luxurious bedding, Stylefast Bedding, sleep better, bedding, sleep, bed, stylefast, polefit bedding on November 14, 2014 by Perry Young. 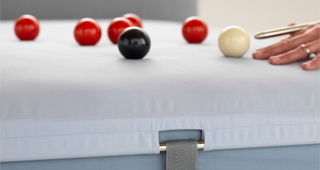 Polefit™ Bedding is an Ideal Home Show 2014 success! This entry was posted in News and Updates and tagged stylefast, polefit bedding, 2014, ideal home show, modern bed sheet, bedding solution, system, modern bedding on June 12, 2014 by Perry Young.